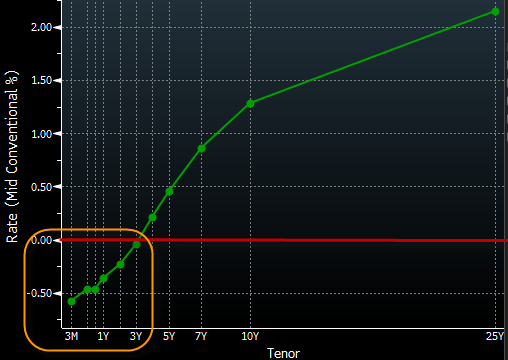 Denmark's short-term rates are firmly in the negative territory as demand from the Eurozone continues to stay strong. 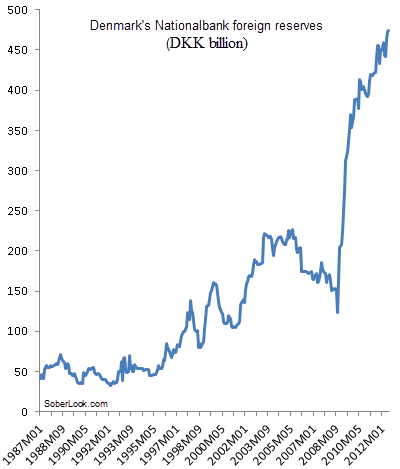 In fact Denmark's foreign reserves are still increasing, although Nationalbank claims it didn't intervene to support the EUR-DKK peg last month. If the ongoing aid negotiations with Greece don't go well, the flood of euros into Denmark and Switzerland will accelerate further as Eurozone citizens attempt to protect themselves from redenomination risk.